We bring forward our latest Chinese Cooking Range that is specially designed for Chinese cooking. Designed to perfection, the Chinese Cooking Range is fitted with high powered and high- pressure burners on cast iron vessel rest. 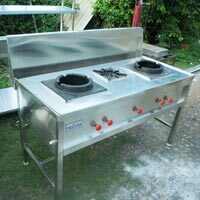 We make use of good quality raw materials for manufacturing the Chinese Cooking Range thus, ensuring durability. Further, our Chinese Cooking Range is easy to clean and use too. 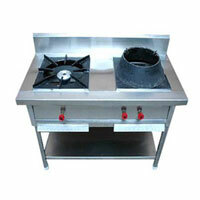 We offer these Chinese Cooking Ranges in different designs and sizes, at market leading prices.